CRC can be prevented with regular screening and if discovered at an early stage can be successfully treated. CRC incidence in the United States is declining overall due to improved screening. Dr. Andrew Albert is not only a caring and skilled physician, he is also a master of using social media for good, in his case, to spread the word about CRC and the absolute necessity of getting screened. The story begins with a bike. 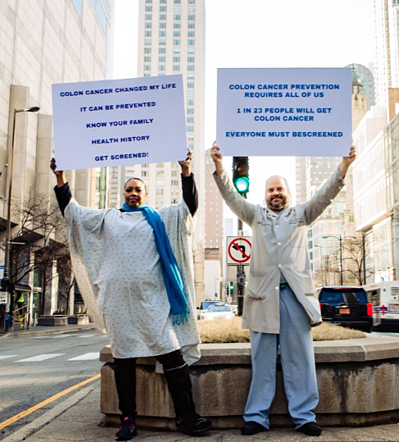 After seeing too many patients die (in most cases needlessly) from colon cancer, he clipped a handwritten a sign to his back: “Lost a patient to colon cancer. Did not need to happen! Get your colonoscopy!” and biked the streets of Chicago. Thus was born his social media message, #backoffcoloncancer, which has gained him both local and international followers, educated countless people about the disease, and sparked online and face-to-face conversations about CRC. And Dr. Albert doesn’t just bike. He spreads the word through videos, takes it to the streets, and urges friends in the medical and public health communities to do more. 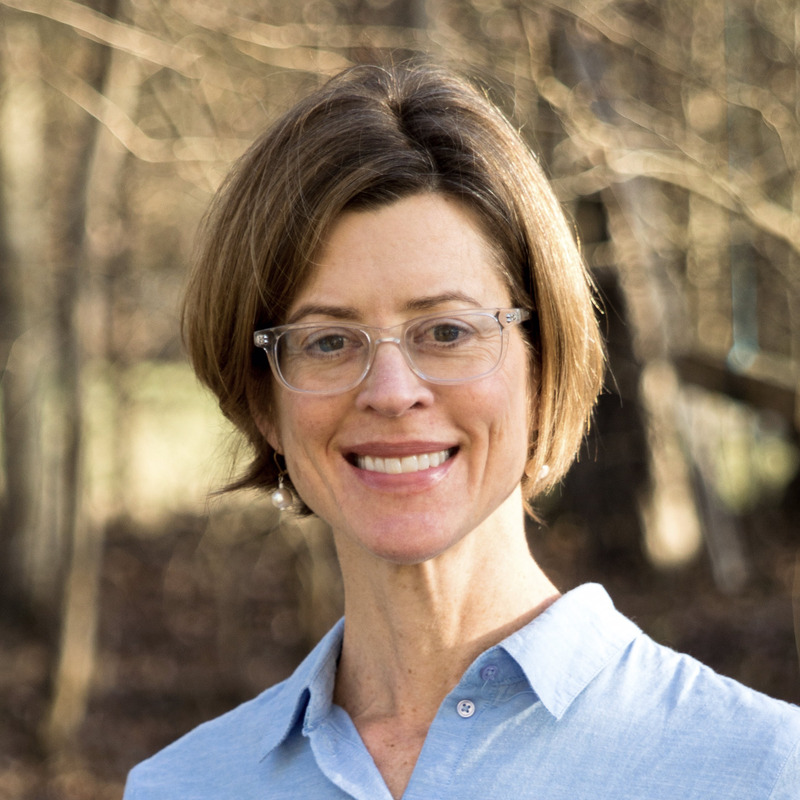 Candace Henley has the best job title ever: Founder/Chief Surviving Officer of the Blue Hat Foundation, but her path there was not as wonderful, to say the least. Diagnosed with Stage 2B colon cancer at age 36, Henley had major surgery and radiation to eradicate the cancer. Her life expectancy was three to five years. If that were not enough, she lost her car, her job, and her home. Through all of this, she raised five daughters on her own while fighting CRC. Most people could not deal successfully with even one of these challenges, but Henley was not content to stop there. As a result of her experience, she made it her mission, and that or her organization, to bring CRC awareness, education, and free testing for colorectal cancer to medically underserved and minority communities, in part because those populations have the highest rates of late-stage diagnosis and death. Like Dr. Albert, Henley is a social media guru and is not afraid to go (very) public with her message. This week the two broadcast facts about CRC and screening from downtown Chicago. She is a 15-year survivor. Reese Garcia is a relative newcomer to the CRC space but has hit the ground running. If you want quick access to breaking CRC news and research, take a look at Garcia’s Twitter feed. She tweets about everything from her favorite CRC conference sessions, to not-to-be missed webinars, to clinical trials. Since 2017 she had been the Research Advocacy Manager at Fight Colorectal Cancer. Much of her career has focused on helping disadvantaged communities overcome health disparities. She now works with cancer survivors and advocates and helps coordinate CRC research-related campaigns. Although Colorectal Cancer Awareness Month officially ends in 16 days, these three leaders educate, advocate, connect people all year long. Let's follow their lead.